of Death Watch - had returned to Mandalore and established an occupation. This act finally gets the Republic to take action, sending a group - including Anakin, Obi-Wan, the 501st clone battalion, and Ahsoka Tano (who still hadn’t rejoined the Jedi Order) to rid the planet of Maul’s rule. Before the siege, however, General Grievous abducts Chancellor Palpatine, forcing Anakin and Obi-Wan to quickly return to Coruscant to mount a rescue operation - which we see in the beginning of Revenge of the Sith. What we don’t see in Revenge of the Sith or in The Clone Wars is Ahsoka leading the clones of the 501st in battle against Maul’s forces. 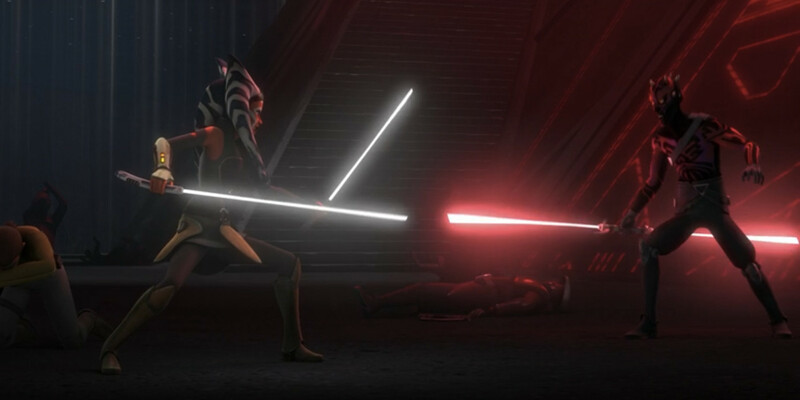 They are even able to lure Maul into a trap, where he crosses blades with Ahsoka, but she ends up choosing to let him escape in order to save the life of Captain Rex. Ultimately, they were able to liberate Mandalore, but it’s said that “Mandalore burned” anyway in the aftermath of the battle. If Death Watch and Mandalore’s population and infrastructure were decimated, then it makes a lot of sense why the planet and civilization don't appear to be prominent later in the timeline.